This Memorial Day weekend kicks off the Lightning in A Bottle festival in Irvine, California. The four-day event bills itself as “equal parts music, art and green workshops” — and the name isn’t a bad description for the music of one of its headliners. The musician and producer Daedelus, a kind of Thinking Man’s DJ who dresses up as a Victorian dandy, will perform music from his latest EP Righteous Fists of Harmony this Sunday 5/30 at 9:30pm. Not surprisingly, Daedelus’ visual style is just as arresting as his sound. Sonos Sings … Near You! The rich harmonies and ultra-contemporary arrangements of Sonos bring a cappella singing to a level those guys in the striped vests and boater hats never could have dreamed of. Now you can hear their fresh, thrilling sound in person. They’re touring the east coast —including New York, Cambridge, and Portland, Maine— for the next week or so. Then they head out west and Midwest, so get to a gig near you. You can see their full tour schedule here. Do the Golden Globes Have a Glass Ceiling? The Golden Globe Awards are this Sunday, and I’m excited, especially for one nominee. The buzz is all over director Kathryn Bigelow and “The Hurt Locker,” an action film about a bomb-defusing squad in Baghdad. But Bigelow’s nomination is particularly shocking to me: she is only the fourth woman to be nominated for Best Director in the 67-year history of the award. “Yentl” garnered Barbra Streisand the first Best Director nomination for a woman at the 1984 awards. And she won. She broke the barrier, and the floodgates were supposed to be opened for female creative minds to rush through. But 26 years later, she is still the only woman to have won the award. That flood of female filmmakers in Hollywood is still just a trickle. New York Times film critic, Manohla Dargis recently wrote about the disappointing trends in women film directors in Hollywood. And she gave a surprisingly candid (to put it mildly) follow-up interview with Jezebel. So even if Bigelow takes home a Golden Globe this weekend, will anything change? Or in another twenty years, will articles be written applauding the third woman to win? And check out Jones singing “The Moon Is Made of Gold” live in Studio 360. 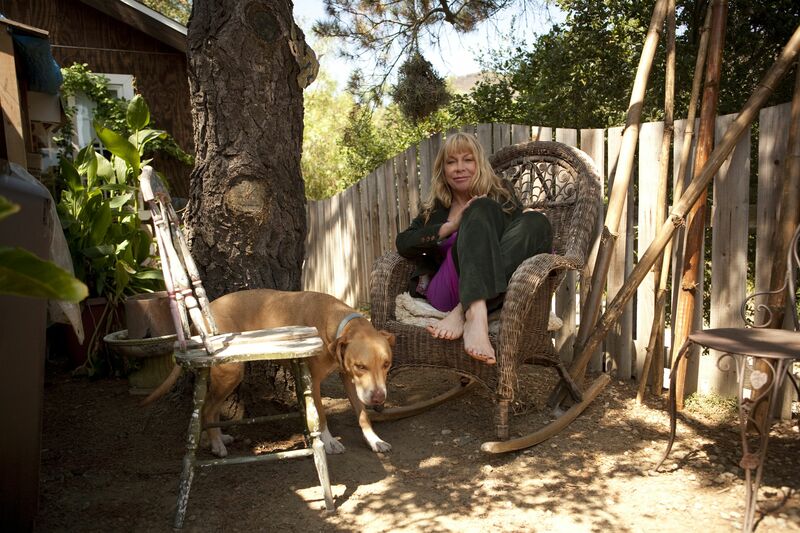 Rickie Lee Jones’s new record is Balm in Gilead.